Anti-Aging Serums: Timelessha.com’s 20% Vitamin C + E +Ferulic Acid Serum is rich with nutrients that rejuvenate skin and help fight aging. Vitamin C protects skin as an antioxidant while also promoting the production of collagen. 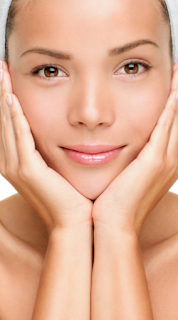 Ferulic acid also helps protect your skin from damage, and can help rejuvenate damaged cells. The addition of Vitamin E makes this product an excellent choice for people with dry skin. If your skin is rich with natural oils, you may not need the extra vitamin E and want to consider Hyaluronic Acid + Vitamin C Serum, one of the other timeless anti-aging serums. Argan Oil: This product is great for moisturizing and healing damaged skin. Rich in Vitamin E and natural oils, Argan Oil is a great product to have in your makeup kit or medicine cabinet. Argan Oil’s healing properties make this natural oil great for skin, hair, and nails. You can use this product almost anywhere on your body- its powerful enough to soften dried skin on your feet, but also gentle enough to use on your lips. Hyaluronic Acid Eye Cream: The skin around the eyes is particularly sensitive and requires special attention. This is even more true if you are a woman who happens to love wearing a lot of eye makeup. Hyaluronic Acid Eye Cream contains matrixly to fight wrinkles, hyaluronic acid for its restorative properties, and algae extract to tighten skin. These all natural products can help fight wrinkles, prevent aging, and most importantly keep your skin healthy.